Soil is an important natural resource and the most critical material basis for agricultural production. Monitoring the quantity and quality of soil resources is of great significance for guiding regional resource development and agricultural production. Because the traditional sampling and analysis cycle is long, the cost is high, the process is complex, the real-time performance is poor, and a lot of manpower is consumed, it is difficult to carry out large-scale and high-frequency soil information survey. In order to solve these problems, researchers have made a lot of explorations in the sensor technology of soil rapid monitoring for more than half a century, and formed products. In this paper, the research on sensor technology of soil detection is reviewed, and the future development trend is prospected. Traditionally, soil properties can be divided into physical properties, chemical properties and biological properties. 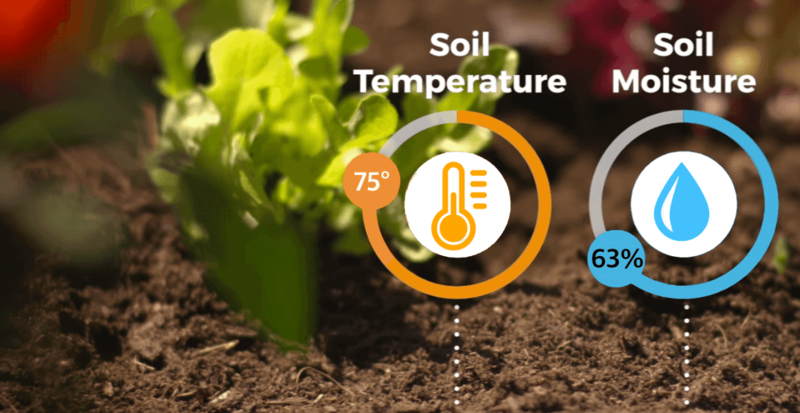 Correspondingly, soil sensors can also be roughly divided into physical, chemical, biological, three categories. Physical sensors can sense the changes of physical parameters of the object under test, such as temperature sensors, soil moisture sensors, pressure sensors, etc. Chemical sensors can sense the changes of elements ions, such as pH electrodes. Biosensors are mainly based on bioelectrochemical theory and can sense changes in biological information, such as enzyme sensors. Because soil physical properties are more suitable for physical methods, the detection of physical properties has always been the focus of soil sensor research. Among them, the monitoring of soil moisture and temperature is the most important, and the corresponding technology is more mature. Some progress has also been made in the research of chemical properties sensors. More attention has been paid to soil acidity and alkalinity, redox potential and salinity, and the research of soil nutrients and organic matter sensor technology is relatively weak. However, the research on the application of biological sensors in soil detection is still very deficient. Soil temperature sensors mainly use resistance devices or semiconductor devices which are sensitive to temperature to convert non-electric quantity to electric quantity, so as to realize continuous measurement of soil temperature, which can be divided into contact type and non-contact type. The detection part of the contact temperature sensor has good contact with the measured object, also known as the thermometer. Non-contact sensitive elements are not in contact with the object under test. Temperature sensor mainly includes thermocouple sensor, thermistor sensor, resistance temperature detector (RTD), IC temperature sensor, in which IC temperature sensor includes analog output and digital output. Thermocouple sensor is composed of two different conductors or semiconductors. Thermoelectric potential is composed of contact potential and thermoelectric potential. It is related to the properties of two conductors or semiconductors and the temperature at the contact point. Thermistor is a kind of sensitive element, its resistance value will change with the change of temperature, which can indicate the change of temperature. Resistance temperature detector is based on the principle that resistance changes with temperature. Soil moisture sensor technology is the most widely reported and most mature research on all soil properties. According to the measuring principle, it can be divided into time domain reflectance instrument (TDR), time domain transmission instrument (TDT), frequency domain reflectance instrument (FDR), neutron moisture instrument (Neutron Probe), Tension meter and Resister Method. TDR technology is based on the difference between the dielectric constant of water and other media in soil to determine soil moisture. It has the advantages of fast, convenient and continuous observation of soil moisture. TDT technology is also based on the difference of soil dielectric constant to measure soil moisture content, but it mainly considers the one-way propagation characteristics of electromagnetic wave in the medium, and achieves the detection purpose by detecting the signal of electromagnetic wave after one-way transmission. The principle of FDR technology is that the capacitance can be formed between the electrodes inserted into the soil and the soil. The soil moisture content can be measured by measuring the relative capacitance (i.e. dielectric constant) at a certain frequency. FDR method is simpler in structure and more convenient in measurement than TDR method. Neutron meter has a long history of application. It consists of high-energy radioactive neutron source and thermal neutron detector. Fast neutron in soil can be quickly decelerated to slow neutron by hydrogen atom in water and form density and moisture phase around the detector. Turn off the slow neutron “cloud”, and the detector measures the soil moisture content according to the electric pulse generated by the slow neutron. Resistance method is commonly used to measure soil moisture with gypsum resistor block of porous medium. Because of its low sensitivity, it is seldom used at present. Soil Salinity Sensor is to convert the conductivity of the solution to the corresponding linear voltage signal for computer data acquisition or instrument reading. Its main components are graphite electrode and thermistor for temperature compensation. After burying the salt sensor in soil, the soluble salt ion (conductivity) in soil solution can be measured directly. At present, the commonly used soil salinity sensor combines high precision analog circuit with digital arithmetic circuit. The Soil PH Sensor is used to detect the concentration of hydrogen ion in the tested material and convert it into the corresponding available output signal. It is usually composed of the chemical part and the signal transmission part. 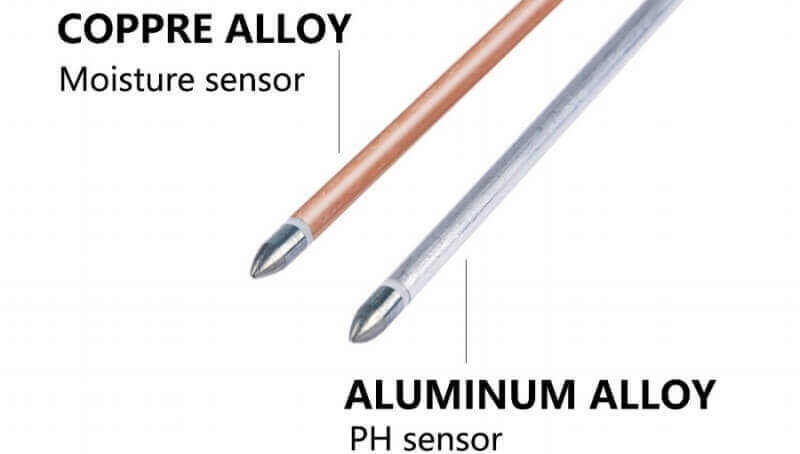 Current soil pH sensors mostly do not support on-line detection, because their continuous use time generally does not exceed 30 minutes, otherwise it will damage the surface of metal electrodes. Similar to the pH sensor, the redox potential sensor has a mature technology. It consists of a measuring electrode (platinum electrode for measuring redox potential) and a reference electrode (around the measuring electrode). In recent years, most of the products have been developed as combined sensors of pH and redox (ORP) to simultaneously detect pH and redox potential. Electrical Conductivity (EC) is usually used to measure the concentration of soluble salts in solution in units of Siemens S/m per meter (1S/m = 10m S/cm = 10000uS/cm = 10dS/m). According to the conductivity of soil matrix or nutrient solution depends on its temperature and salinity (i.e. salinity), salinity can be obtained by measuring its conductivity and temperature. The measuring temperature of EC value is usually 25 C. In the same solution, the lower the measuring temperature is, the lower the EC value is. Under normal temperature conditions, the change value of conductivity at 1 C is about 2% for each phase difference. The electrical conductivity has a linear relationship with salinity. Based on the temperature of 25 (?) C, the ratio is: 1 u S/cm = 0.55-0.75 mg/l salt content. At other temperatures, it needs to be corrected, that is, the salt content changes about 1.5-2% with the temperature changing 1 (?) C. Negative values are used when the temperature is higher than 25 C, and positive values are used when the temperature is lower than 25 C.
So salt can be estimated by conductivity. (1) Physiological drought. The water potential of root cells must be lower than that of surrounding media in order to absorb water, so the more salt in soil, the more difficult it is to absorb water, and even the water in the body is in danger of exosmosis. Therefore, the common manifestation of salt damage is actually a drought. Especially in the case of low relative humidity in the atmosphere, with the increase of transpiration, salt damage is more serious, plant growth is abnormal, plant is small, dark green leaves, like drought and water shortage. (2) Toxicity of ions. Plants absorb too much salt and reject the absorption of other nutrients. (3) Destroy normal metabolism. Excessive salinity can inhibit chlorophyll synthesis and the occurrence of various enzymes in photosynthesizers, especially the formation of chlorophyll-protein. 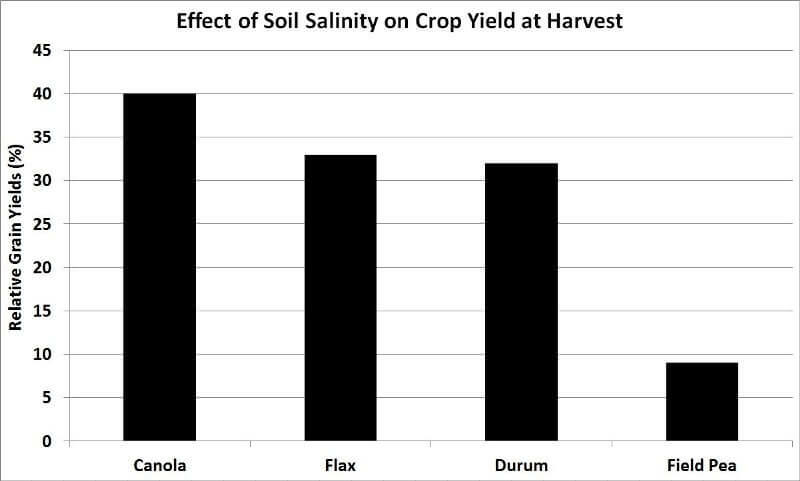 Crops growing in salty soil generally have lower net photosynthetic rate than plants growing in light soil, and lower net photosynthetic productivity, which is not conducive to growth. Biosynthesis of chlorophyll and carotenoids is blocked, stomata are closed, photosynthetic rate is decreased, and crop yield is affected. (4) Effects on the structure of plant cell membrane. Salt stress directly affects membrane lipids and membrane proteins, increases membrane permeability and lipid peroxidation, thus affecting the normal physiological function of membrane. Salt stress dehydrates cells and causes changes in cell swelling pressure and osmotic pressure. (5) Inhibiting protein synthesis in crops. Too much salt has obvious effect on protein metabolism. The direct reason of inhibiting synthesis and promoting decomposition and inhibiting protein synthesis may be that it destroys the synthesis of amino acids. Salt stress causes the accumulation of toxic metabolites in plants. These substances have toxic effects on plants, resulting in poor growth of plant leaves, inhibiting root growth, blackening and necrosis of tissues, etc. Moderate water is an important condition for plant growth. If there is too much or too little water, the growth will be affected by the following factors. 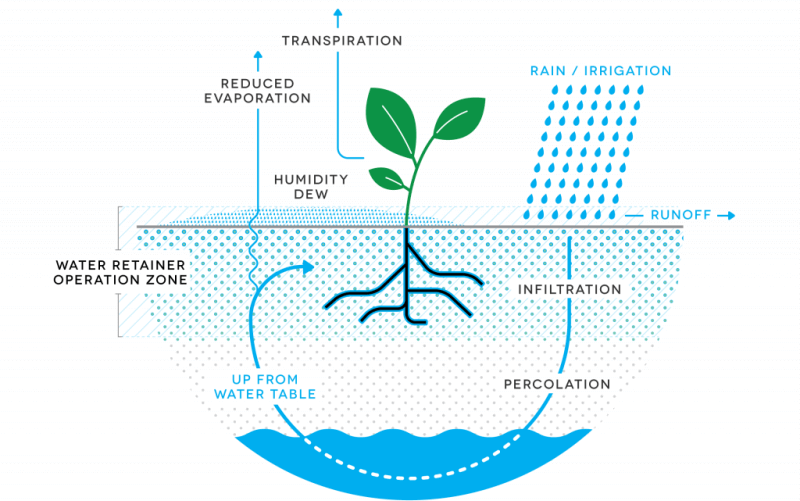 Plants accumulate photosynthesis and dry matter through water supply, and the amount of accumulation is directly reflected in the dynamic changes of plant height, stem diameter, leaf area and yield formation. Under water stress, the individual height of the plant was low, the area of photosynthetic leaves was significantly reduced, and the yield was reduced. Leaf is the main site of photosynthesis and transpiration. Mesophyll cell expansion and leaf growth are sensitive to water conditions. In order to keep the leaves upright, the support of cellulose and the higher swelling pressure in tissues are needed. The phenomenon of wilting occurs when the plants are short of water, which is the manifestation of the decrease of swelling pressure. Crop yield is the accumulation of solar energy into chemical energy in crops. Soil water status affects plant root water uptake and leaf transpiration, then affects dry matter accumulation, and ultimately affects crop yield. Root system is the main organ of water absorption, and its development is affected by many aspects, but the main role is soil moisture and ventilation. Soil water status affects the vertical distribution of roots. When soil water content is high, the resistance of root diffusion to soil decreases, which is conducive to the formation of new roots and the development of roots. Soil usually contains a certain amount of available water, so the root system itself is not prone to water deficit. When the soil is drought or water supply is insufficient, the root system absorbs limited water, first of all, it meets its own needs, and seldom transports water to the aboveground part. The results show that water deficit in a certain period is beneficial to improve yield and quality. Early drought can enhance later drought resistance, and light drought resistance at seedling stage can promote root “compensatory growth” and improve plant drought resistance. Photosynthesis is the main source of energy for green plants. The photosynthetic rate is closely related to the water status of plants. The results showed that photosynthesis was the strongest when the water content of plant tissues approached saturation, and when excessive water content reached saturation, stomata closed passively and photosynthesis was inhibited. The photosynthesis decreased due to water shortage, and decreased sharply or even stopped when the leaves withered due to severe water shortage. Soil moisture also affects plant photosynthesis. The decrease of soil water content resulted in the decrease of leaf water potential and stomatal resistance, which eventually led to the increase of leaf diffusion resistance, the obstruction of CO2 diffusion and the decrease of photosynthetic rate. With the decrease of water supply, leaf water potential decreases, and assimilative substances from source leaf to phloem decrease. On the one hand, the decrease of leaf water potential and photosynthetic rate resulted in the decrease of sucrose concentration in mesophyll cells, and on the other hand, the decrease of the longitudinal velocity of the centrifugal flow in the sieve tube. Water is the medium of substance transformation and transportation, and it also directly participates in some biochemical reactions. Usually, the fruit is short of water during the period of expansion or filling. Because of the obstruction of photosynthesis and transportation, the fruits and seeds can not accumulate enough organic matter and become dry and thin. Therefore, under drought conditions, irrigation can accelerate the transport of organic matter. However, excessive water is not conducive to the transport of organic matter, which is mainly due to excessive water, resulting in poor soil ventilation, affecting respiration and other metabolic processes. Mineral elements must be dissolved in water before they can be absorbed by plants. However, the amount of water and mineral salts absorbed by plants is disproportionate, and the two kinds of water and mineral salts absorbed by plants vary greatly with the change of environment. The absorption of water and minerals by plants is both related and irrelevant. Relatively, salt must be dissolved in water before it can be absorbed by plant roots, and with water flow into plant roots; irrelevant, the absorption mechanism is different between the two. Water absorption is mainly passive water absorption caused by transpiration, while mineral absorption is mainly active absorption of metabolic energy. Water absorption is the main condition for seed germination. The physiological and biochemical effects related to germination can only begin gradually after the seeds have absorbed enough water. This is because water can make the seed coat expand and soften, oxygen permeate easily, and enhance the respiration of the embryo. At the same time, it makes the embryo easy to break through the seed coat. Water can change the protoplasm from the gel state to the sol state, and increase the metabolism. Under the action of a series of enzymes, the storage substances of endosperm can be gradually transformed into soluble substances for the growth and differentiation of the embryo, and water can promote the soluble matter. The quality is transported to the growing buds and roots to supply the need for breathing and the formation of new cell structures. There are different data models for different crop species. Soil moisture sensors measure the volumetric water content in soil. Since the direct gravimetric measurement of free soil moisture requires removing, drying, and weighting of a sample, soil moisture sensors measure the volumetric water content indirectly by using some other property of the soil, such as electrical resistance, dielectric constant, or interaction with neutrons, as a proxy for the moisture content. The relation between the measured property and soil moisture must be calibrated and may vary depending on environmental factors such as soil type, temperature, or electric conductivity. Reflected microwave radiation is affected by the soil moisture and is used for remote sensing in hydrology and agriculture. Portable probe instruments can be used by farmers or gardeners. Soil moisture sensors typically refer to sensors that estimate volumetric water content. Another class of sensors measure another property of moisture in soils called water potential; these sensors are usually referred to as soil water potential sensors and include tensiometers and gypsum blocks. Electrical resistivity (also known as specific electrical resistance, or volume resistivity) is a fundamental property of a material that quantifies how strongly that material opposes the flow of electric current. A low resistivity indicates a material that readily allows the flow of electric current. Resistivity is commonly represented by the Greek letter ρ (rho). The SI unit of electrical resistivity is the ohm–metre (Ω⋅m). As an example, if a 1 m × 1 m × 1 m solid cube of material has sheet contacts on two opposite faces, and the resistance between these contacts is 1 Ω, then the resistivity of the material is 1 Ω⋅m. Electrical conductivity or specific conductance is the reciprocal of electrical resistivity, and measures a material’s ability to conduct an electric current. It is commonly represented by the Greek letter σ (sigma), but κ (kappa) (especially in electrical engineering) or γ (gamma) are also occasionally used. Its SI unit is siemens per metre (S/m). New Pesticides and Soil Sensors, a volume in the Nanotechnology in the Agri-Food Industry series, is a practical resource that demonstrates how nanotechnology is a highly attractive tool that offers new options for the formulation of ‘nanopesticides’. This book reports on developments in Proximal Soil Sensing (PSS) and high resolution digital soil mapping. PSS has become a multidisciplinary area of study that aims to develop field-based techniques for collecting information on the soil. This study covers the world outlook for soil moisture sensors across more than 190 countries. For each year reported, estimates are given for the latent demand, or potential industry earnings (P.I.E. ), for the country in question (in millions of U.S. dollars), the percent share the country is of the region, and of the globe. This volume reviews the key elements of and advances in precision agriculture technology and applications. Let us tell you the best soil sensor purchase choice in 2019. Soil moisture sensors measure the volumetric water content in soil. How Long Is the Lifetime of Soil Sensor? According to the principle of measurement, the life is different. The longest life of soil temperature sensor is more than 5 years. The life of soil moisture sensor is 1-2 years, and the life of conductivity and PH sensor is shorter, about one year. According to the development of international sensors, it can be predicted that the main growth of soil sensors in the future will come from new sensors such as optical fiber sensors, micro-electronics sensors, bionic sensors, electrochemical sensors and so on. At the same time, with the application of new technology and new materials (nano-materials), soil detection sensors will also develop in the direction of miniaturization, bionics, intelligence and multi-function. Especially with the emergence of new sensing materials and sensors, it is possible to develop new soil near-earth sensors with good stability, high sensitivity and continuous testing.